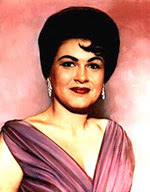 Here is a song typical of the style of the legendary singer Patsy Cline. Patsy Cline (born Virginia Patterson Hensley in 1932 – d. 1963) was a Country music/Pop music singer, who enjoyed Pop music cross-over success during the era of the Nashville Sound in the early 1960's. She became one of the first Country singers to have major success on the Pop charts. 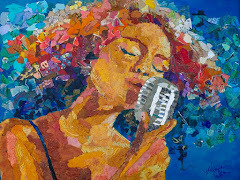 Since her death at the age of 30 in a 1963 plane crash during the height of her fame, she has been considered one of the most influential and successful female vocalists of the 20th Century. Her life and career has been the subject of numerous books, movies, documentaries, articles and stage plays. 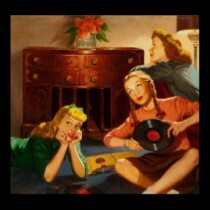 Influenced by stars such as Judy Garland or Kay Starr, Cline was best known for her voice. Many artists over the years have tried to re-create Cline's sound. Her signature songs include "Crazy", "I Fall to Pieces", "She's Got You", "So Wrong" and "Walkin' After Midnight". She has sold millions of albums over the past 50 years, which gave Patsy Cline an iconic fan status, similar to that of country artists like Johnny Cash and Dolly Parton. In 1992, the U.S. Postal Service honored her, along with Hank Williams, on a U.S. postage stamp. In 1995, she was honored with a Grammy Lifetime Achievement Award, along with Barbra Streisand and Peggy Lee. 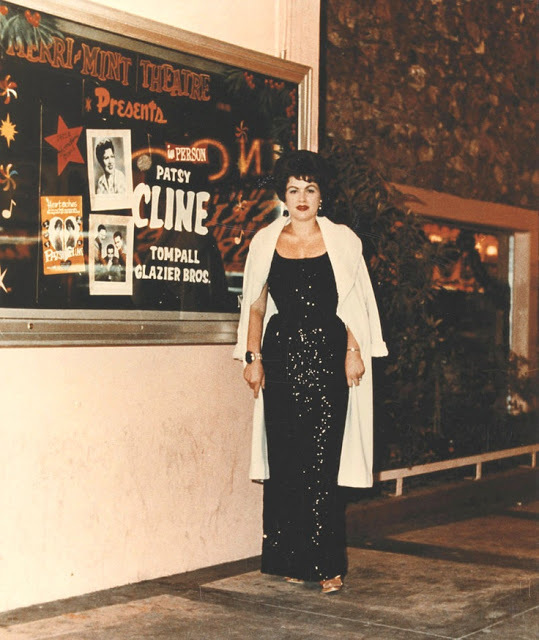 And, in 1999, Patsy Cline was honored with a star on the Hollywood Walk of Fame.